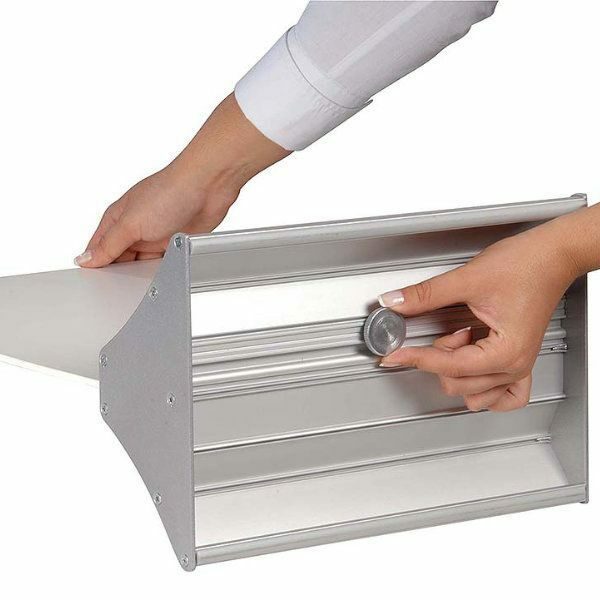 Packing Size: 8.66" x 37.01" x 4.61"
It is an economical and easy-to-use product. 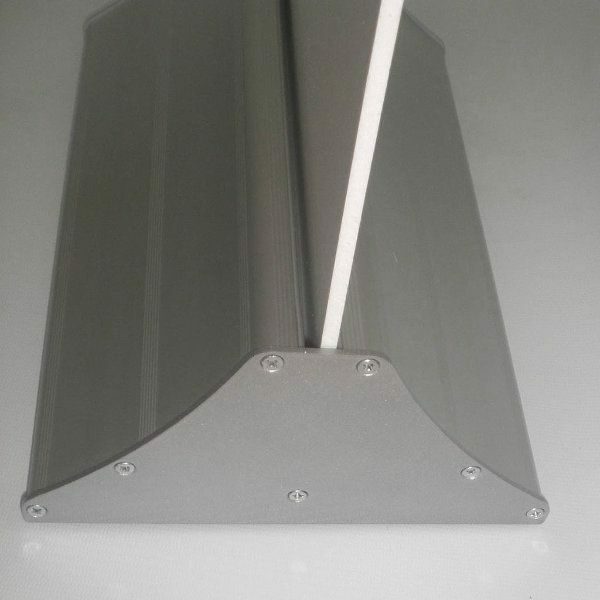 You just can put in your PVC foam poster with 1/4 to 7/16 inch (5 to 10 mm) thickness and adjust the nut of fixing from the bottom part of the aluminum box. 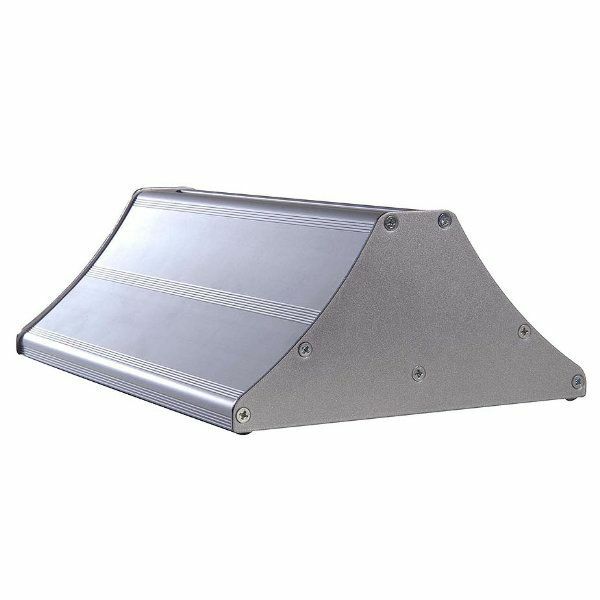 It can be used in all indoor areas such as; schools, seminars, restaurant chains, showrooms, exhibition areas, malls and everywhere else. Packed with an easy-to-understand instruction sheet. 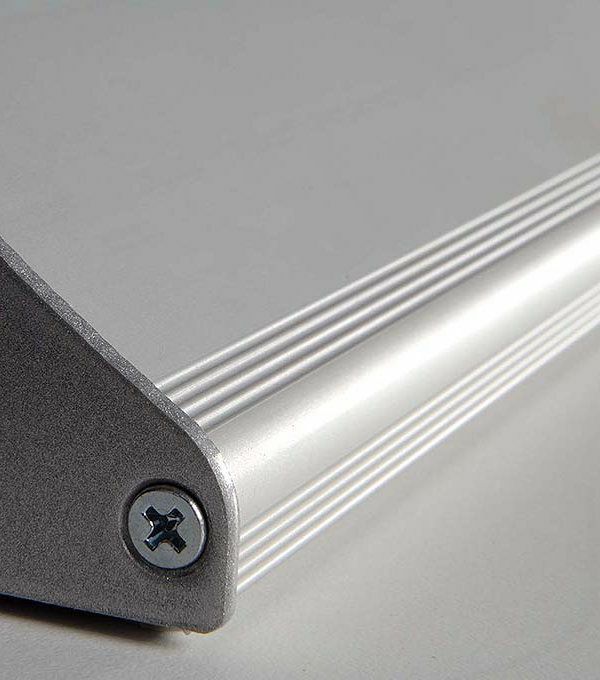 To change the poster boards, please loosen the fixing nut under the aluminum box. 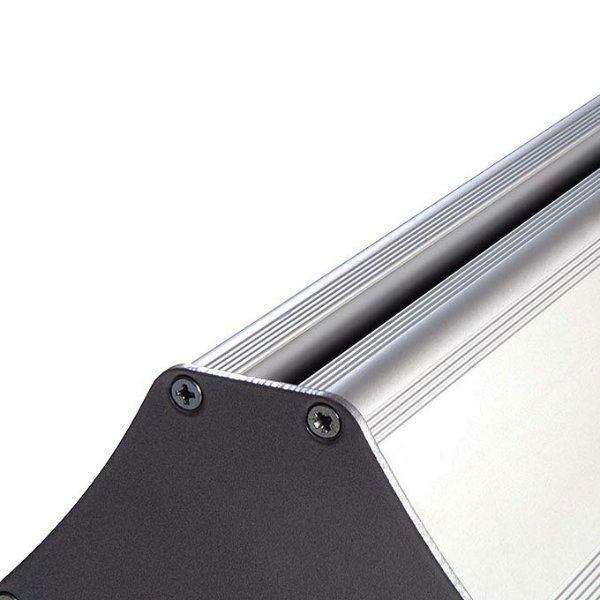 The most preferred banner stand is Easy Swap. 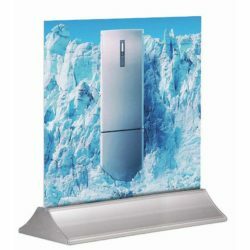 This trade show banner stand which can be used especially in restaurant chains and malls, is the easiest way to advertise with high quality standards. 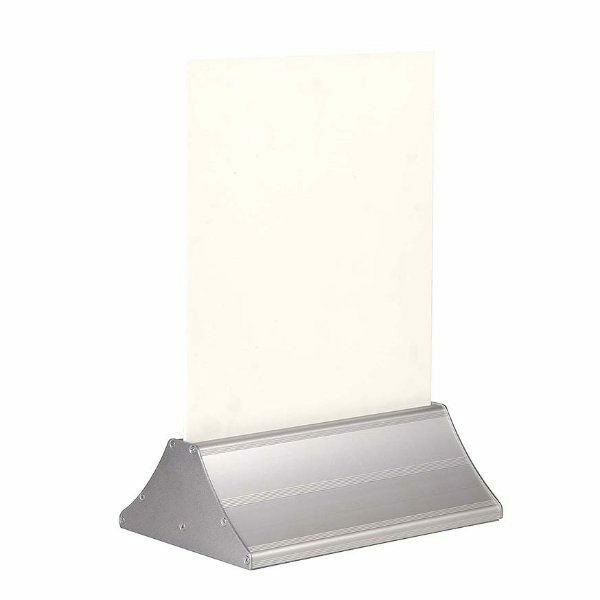 The height of this advertisement stand is 3.94″ so that it provides an effective view. This poster stand has silver aluminum base and suitable for a 35- 3/7″ graphic. You just can place your rigid graphic material with 0.2″ to 0.39″ thickness and secure it tightening the fixing nut underneath the aluminum box. 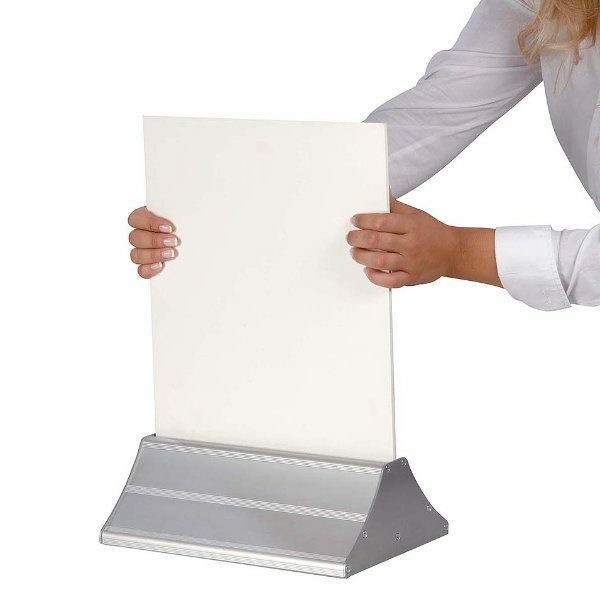 If you would like a quick and easy use banner stand, this poster stand is the greatest choice for you.This poster stand come with an easy to understand instruction sheet. 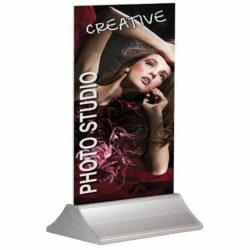 This banner stand does not come with a graphic. 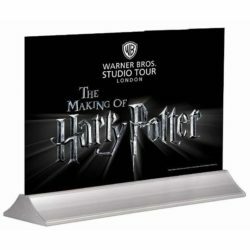 Customer needs to have their own single or double sided graphic. 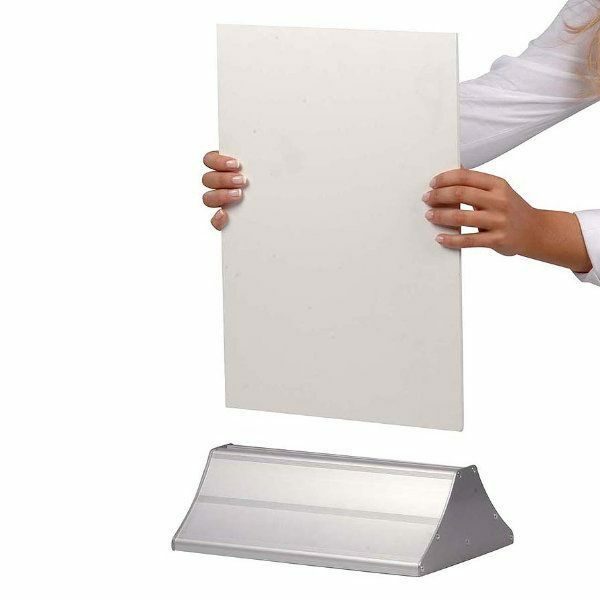 I bought these for tabletop displays in the cafeteria and they are perfect for pvc foam.